What young explorer could resist the temptation? 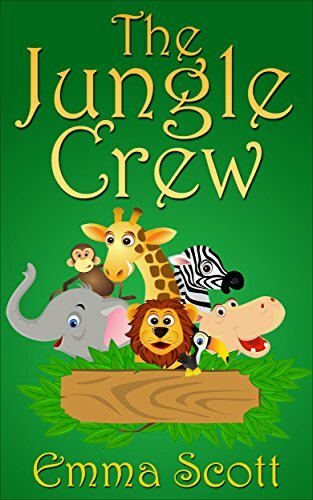 Abigail finds herself in the Amazon jungle where she will meet a Toucan, a jaguar, some squirrel monkeys, and a native boy named Nuka. 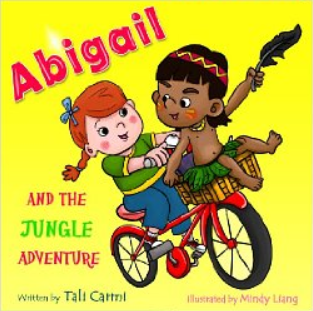 Abigail is a generous young girl and she shares her magical bicycle with her new friend. What will happen next? Will Abigail stay in the jungle, explore a new site or return back to her grandparents? This story is targeted for children aged two through six. The beautiful, bold and colorful illustrations will capture a young child’s imagination and interest. Vocabulary in the text contains enough of a challenge to extend a young child’s vocabulary when read aloud by a parent or caretaker. There is a bonus fun pack with activities offered to all readers. The elements of adventure, magic and repetition are combined and balanced nicely. Little ones will want to read it over and over and surely look forward to more books in the series.